The Czech Republic is one of the most unassuming best wellness getaways and destinations in the world. For centuries people have flocked to the Czech Republic for their specialty spa and wellness getaways and various spa town. From then to now, the Czech Republic still is one of the world’s best wellness getaways. 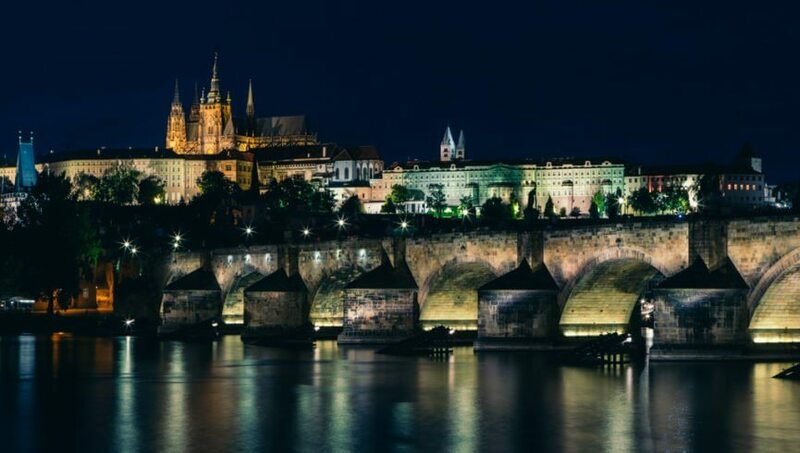 From towns with curative waters, enriched beer, nutrient-rich mud, to state of the art spa facilities, find out why you should make the Czech Republic your next healing and wellness getaway. Probably the most well-known wellness getaways in the Czech Republic and one of the best wellness getaways in the world is Karlovy Vary. The entire town was built around the curative mineral springs discovered by Charles IV on a hunting expedition and since then has been built around wellness and relaxation. There are 79 different hot springs throughout the Karlovy Vary area, 13 of which can be visited in easily by walking to the 5 different colonnades in town. The springs located inside the colonnades all vary in temperature and vary with health benefits for both internal and external healing. Doctors even prescribe patients to drink from the different springs throughout town. Besides having curative spring water you can ingest there are also a ubiquitous amount of spas and wellness centers you can visit in town. Many of the hotels also offer a private spa for guests only. The treatments available at the spas vary by facility but the most common include baths for muscle relaxation, bath infused with carbon dioxide for strengthening the immune system, blood circulation, and calming the muscles. Also, body wraps with carbon dioxide increase oxygen in the bloodstream as well as improved circulation. Massages and hydrotherapy sessions are also very common at all of the spas. Some of the spas and wellness centers even offer outdoor swimming pools with incredible views. 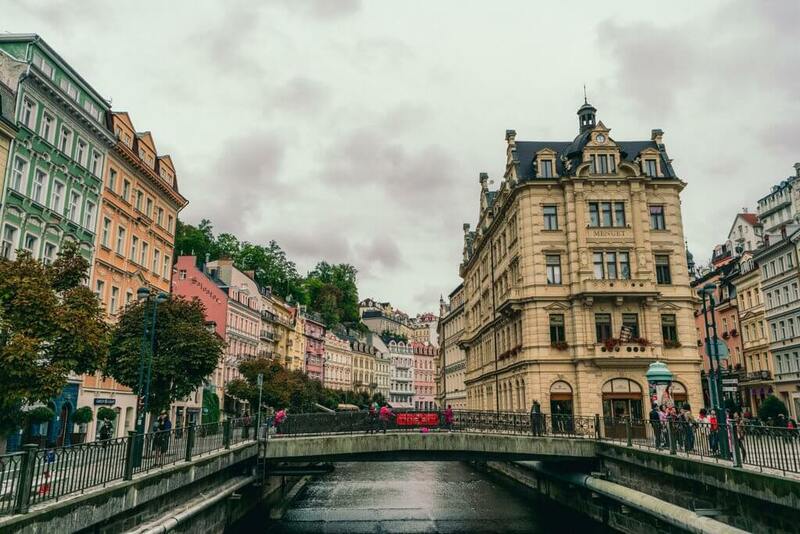 Besides being one of the world’s best wellness getaways, Karlovy Vary is also an absolutely beautiful city full of gorgeous architecture and fabulous dining and shopping. It’s no wonder why Karlovy Vary has attracted famous people such as Mozart, Casanova, Freud, Beethoven, to celebrities today for its wellness and healing waters. 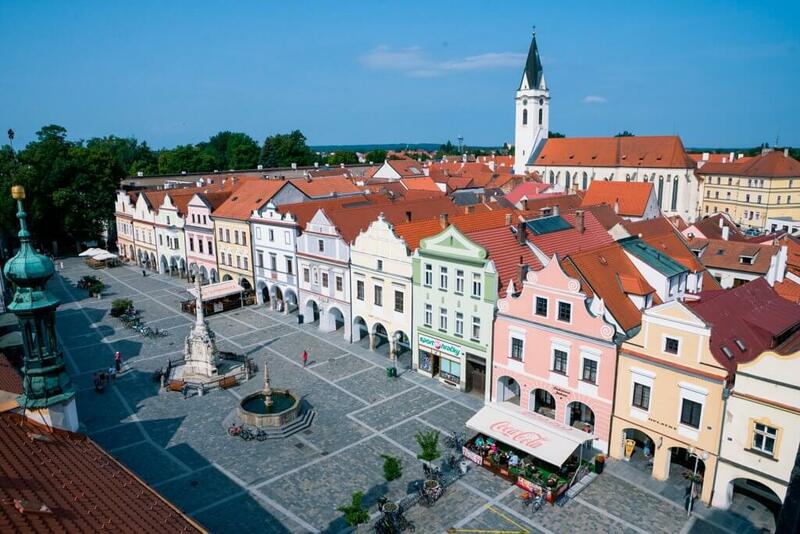 One of the greatest wellness getaways in the Czech Republic is the colorful storybook town of Trebon in South Bohemia. Trebon attracts both domestic and international visitors for their incredible spa and wellness retreats. The local spa culture goes back centuries and is thanks to their geographic location with nearby wetlands. The wetlands provide a nutrient-rich mud like substance known as peat that is perfect for spa and wellness treatments. For centuries people flocked to Trebon to experience the local peat baths to heal their ailments. The peat treatments became so popular that it could be difficult to even experience the local peat baths due to high demand. This is something you won’t have to worry about today in Trebon. There are several different wellness and spa facilities to accommodate visitors and treat them to their local specialty, the mud bath treatments as well as other services like hydrotherapy and massages. Trebon is an excellent example of why the Czech Republic is an incredible wellness getaway. Between treatments and relaxation, you can explore the beautiful town and even play a few rounds of golf at the nearby courses. This one sounds strange, but what if we told you beer was good for your body? The Czech Republic has already made a global name for itself for its delicious beer and if you ask a local Czech person they will tell you how healthy beer is for you. This is opposite of what we are told at home. It turns out beer is loaded with B vitamins and the alcohol in beer can kill or reduce the growth of illness-forming bacteria. Besides drinking and sampling all the great Czech beers during your visit, you can also enjoy one of the many beer spas in Prague. Sip on a beer while soaking in a tub of beer. The beer spa isn’t just a kitschy tourist activity you can do, the beer spas actually have fantastic health and wellness benefits. Your beer bath contains natural extracts from the beer including yeast, hops, and malt. Hops are great for your skin and help open up your pores and overall vitality of the skin. The yeast contains high doses of B Vitamins and active enzymes that are great for skin regeneration. The baths are also said to boost and stimulate metabolism, detox your body of toxic substances, absorb vitamins, improve the condition of your hair, skin, and muscles, relieve tension in muscles, improve blood circulation, and even treat skin ailments like psoriasis, acne, and cellulite. Some great beer spas to check out in Prague include Pivni Lazne Spa Beerland, Lazne Pramen Prague, and Prague Beer Spa Bernard. If you’re in love with beer be sure to check out the South Bohemia Beer Trail itinerary stopping at castles and breweries for 4 straight days! Wellness in the Czech Republic can be incredibly unique. We couldn’t mention beer and skip over the Czech Republic’s wonderful wine and wellness scene. Besides having beer spas, the Czech Republic offers wine spas and treatments as well. Located in the heart of the country’s wine country which happens to be located on 49th parallel, same as Champagne, France so you know the climate is perfect for grape growing. Besides sipping and sampling wine through the beautiful UNESCO World Heritage area of Lednice – Valtice Cultural Landscape and even trying some of the country’s best wines in the cellar of Valtice Chateau, you can relax by visiting one of the many spas in the area including Spa Lednice which offers a range of therapeutic treatments from chocolate massages and wraps, medical cannabis infused baths and massages, as well as wine therapy and champagne baths using the local Moravian wine. Similar to beer baths, wine baths use various vine components such as vine leaves, wine yeast, grape seed oil, grape skin, and grape extracts. The combination of these nutrients are said to have restorative and rejuvenating effects, help with relaxation, restore vitality, and improve blood circulation, help with cellulite, as well as brighten your skin. Who said wellness in the Czech Republic can only about spas? 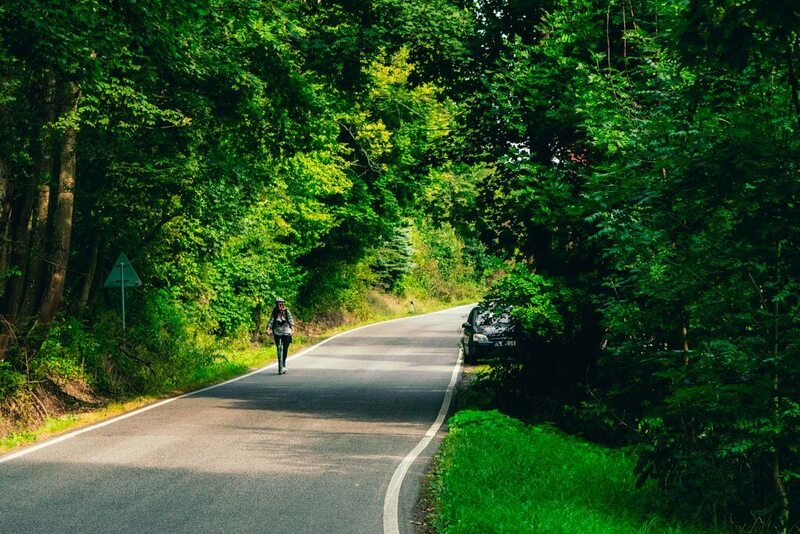 While hanging out in a relaxing facility with saunas, hot therapeutic baths, and massages are nice you can actually do your body good by participating in one of the locals favorite outdoor activities, biking. 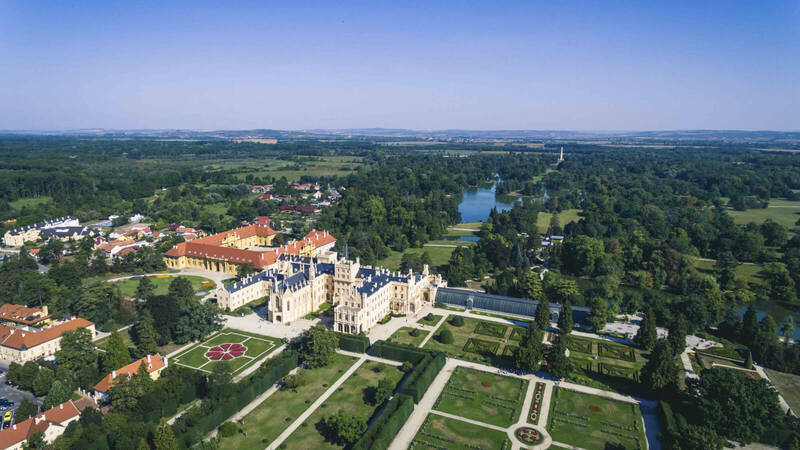 The Czech Republic is relatively flat making it easy to get around the countryside by bicycle and the perfect place to make a multi-day bike trip hitting up one incredible town or village after another. Exercise is great for your health and heart as well as stress. Pedal your stresses away while gawking at the gorgeous countryside and stopping in one storybook village after another. 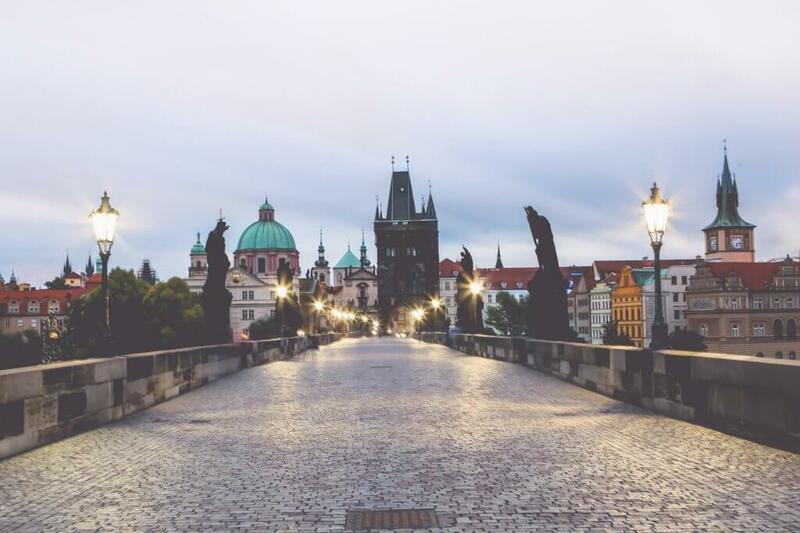 Be sure to check out our suggested Czech Republic itinerary as well as our Czech Republic travel guide for useful tips and information you need to know before your trip. Disclaimer: This post was in partnership with Czech Tourism, as always all opinions are our own.